President Obama Tries To Salvage Obamacare From Trump : The Two-Way President Obama tries to rally congressional Democrats to save his namesake health care law, even as Republicans take the first step toward repeal. Senate Republicans began the process Tuesday of shutting down the Affordable Care Act, one of the key features of the Obama presidency. President Obama meets with Democrats on Capitol Hill today, looking for ways to preserve his signature health care law in the face of stiff Republican opposition. Senate Republicans have already taken the first step toward repealing Obamacare. On Tuesday, they introduced a budget resolution that would ultimately allow Republicans to unravel large parts of the Affordable Care Act with a simple majority vote. Democrats still hope to defend the law, which has extended health insurance to some 20 million Americans. Repealing the law would very likely strip protection from many of those people. So far, Republicans have not reached agreement on how to replace Obamacare. And the outgoing administration mocks the idea of repeal now and replace later. "That ultimately is nothing more than just bait and switch," said White House spokesman Josh Earnest. The American Medical Association issued a similar note of caution in an open letter to lawmakers. The association, which supported the Affordable Care Act when it passed seven years ago, acknowledged that the law is imperfect, but said any effort to cut costs or increase choice should at least preserve the existing level of coverage. "Before any action is taken through reconciliation or other means that would potentially alter coverage, policymakers should lay out for the American people, in reasonable detail, what will replace current policies," wrote the association's CEO, James L. Madara. "Patients and other stakeholders should be able to clearly compare current policy to new proposals so they can make informed decisions about whether it represents a step forward in the ongoing process of health reform." Reconciliation is a procedural tactic that would allow Senate Republicans to unwind large parts of the Affordable Care Act without the threat of a Democratic filibuster. Some Republican senators are wary of stripping health insurance from people without a plan to take its place. And conservative health care scholars Joseph Antos and James Capretta of the American Enterprise Institute warn that repeal without simultaneous replacement "carries too much risk of unnecessary disruption to the existing insurance arrangements upon which many people are now relying to finance their health services." Republican House Speaker Paul Ryan is undeterred, calling the budget resolution "the first step towards relief for Americans struggling under Obamacare." In a statement, Ryan said his goal is "to ensure that patients will be in control of their health care and have greater access to quality, affordable coverage." President-elect Donald Trump weighed in via Twitter, writing, "People must remember that ObamaCare just doesn't work, and it is not affordable." He pointed to a 116 percent increase in premiums for people buying insurance on the government-run exchange in Arizona this year. Premium increases for exchange customers nationwide averaged 25 percent. Most customers shopping on the exchanges receive a government subsidy that helps to defray some or all of the increase. 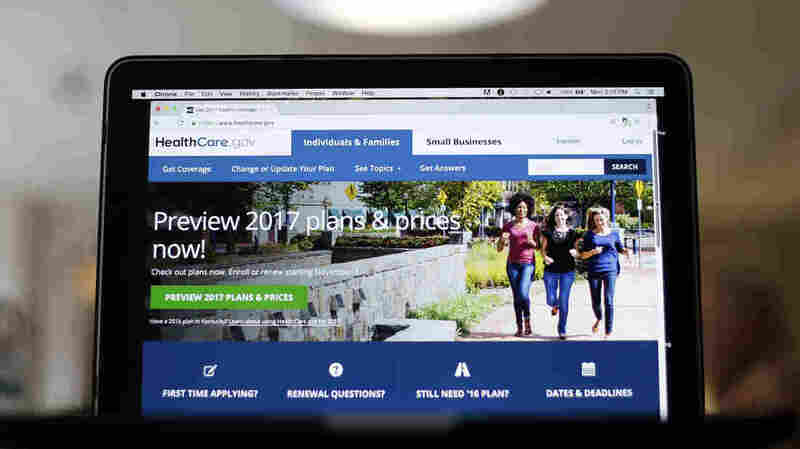 Even with the higher prices and uncertainty surrounding Obamacare, the administration says customers have been signing up for coverage on the exchanges at a record pace.